Quote, unquote is an eclectic sampling of things said at and about Hope College. 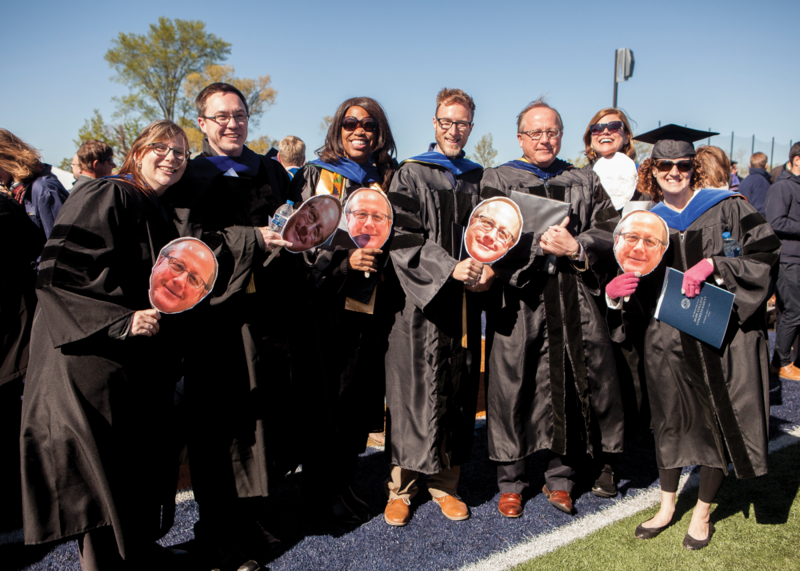 Enduring wisdom comes from many sources, and as the members of the graduating Class of 2017 prepared to cross the stage at Ray and Sue Smith Stadium during the college’s 152nd Commencement on Sunday, May 7, they were encouraged to remember a children’s Sunday school song. And also to sing it. The resulting impromptu choir included approximately 730 seniors. The class consisted of students from throughout the United States and foreign nations around the world. Green titled his address “A Fountain Flowing Deep and Wide,” from the song’s lyrics. He noted that as the graduates embrace the reality of life today — how to thrive in an age with so many differences in background, perspective and opinion — the song’s message provides a meaningful guide for people of faith. “As we are all well aware, we live in a divided and divisive time. We’ve always had our differences, but in the U.S. today, and in many other countries, there is a polarization that cuts right through, leaving us fearful, angry, suspicious,” he said. Deep engagement with faith and wide engagement with others are not only compatible but complementary, reinforcing each other, Green said. The Commencement ceremony was preceded by the college’s Baccalaureate services, held in Dimnent Memorial Chapel in the morning. The address, “Equipped to Serve,” was presented by Sandra Gaddy, who is chief executive officer of the Women’s Resource Center in Grand Rapids as well as a member of the college’s Board of Trustees and was concluding her final year as co-chair with her husband, Arlen, of Hope’s Parents’ Council.